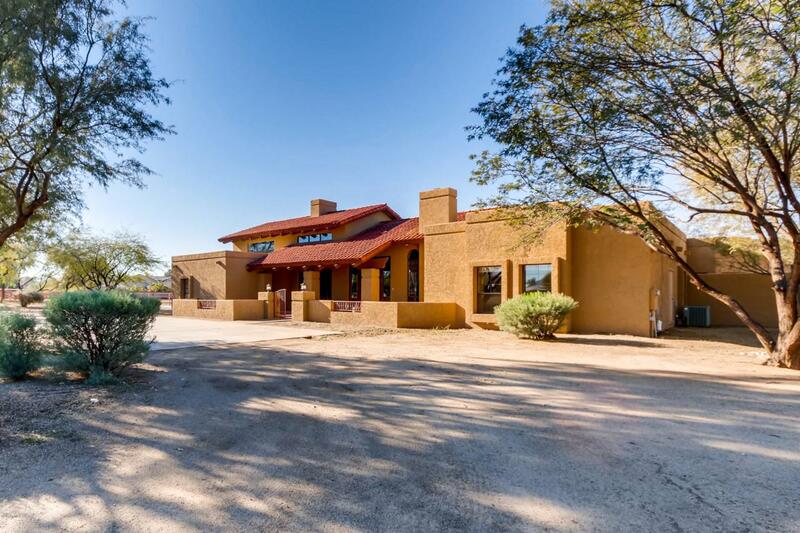 Great Horse property on 4 Acres in the Cactus Acres.8 Large custom covered stalls with auto waters, 2 Pastures, Riding Arena and Turn out for horses. 4829 sq ft house built in 1983 House has 3 fireplaces, one in Living Room, one in Family Room and one in Loft. WonderFul Views of the McDowells.